Fear is the strongest motivator when dogs bite. Biting is the last defense a dog uses. Most dogs give signals, warning us beforehand to stop what we are doing or to stay away. If we humans don’t interpret the signals correctly, we may leave the dog with no choice but to bite. 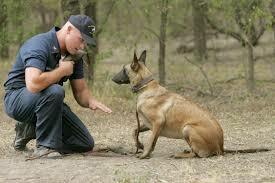 Observe your dog and try to understand what s/he is saying to you. If the tail lowers or the ears go back or the body stiffens, these can be the actions that tell us be careful. The obvious signals are growling and baring the teeth. When meeting someone with a dog in the street, always ask if you can pet the dog. Allow the dog to smell you before you touch. Try not to stand over the dog as you can appear aggressive. Instead try crouching down a bit. Avoid petting the top of the head, pet the shoulders or back which are less sensitive to touch. If someone asks to pet your dog and you feel there may be a problem, explain why your pet can’t be petted. Children, especially young children, should always be supervised with a pet, even if the pet is yours. Children can sometimes appear excited or rush up to a pet. This can make the pet unsure and/or fearful and it can lash out. Avoid eye contact with an unknown or aggressive, fearful dog. Staring into a dog’s eyes represents a challenge to him/her. If you come upon a loose dog that’s headed your way, don’t run. Stand as still as you can and try not to show fear. The dog may sniff you, but since it sees a moving object as prey to run after and attack, it will probably leave you alone. Rolling yourself up in a ball is another defense method. After the dog leaves, contact animal control or any proper authority to let them know about the loose dog. Most dog bites occur with your children. 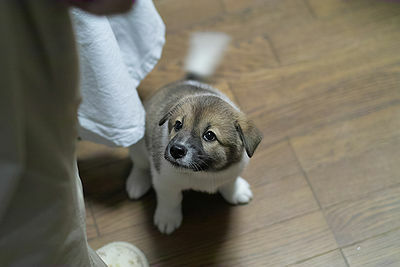 According to ASPCA statistics, 50% of all children will be bitten by a dog before their 12th birthday. And the bites are usually from their own dog or a friend’s or neighbor’s dog. Please teach your children safety rules and behavior around dogs. Here’s the ASPCA safety pledge for children. I will not stare into a dog’s eyes. I will not tease dogs behind fences. I will not go near dogs chained up in yards. I will not touch a dog I see loose (off-leash) outside. If I see a loose dog, I will tell an adult immediately. I will not run and scream if a loose dog comes near me. I will stand very still (like a tree) and will be very quiet if a dog comes near me. I will not touch or play with a dog while he or she is eating. I will not touch a dog when he or she is sleeping. I will only pet a dog if I have permission from the dog’s owner. Then I will ask permission of the dog by letting him sniff my closed hand. These pledges while meant for children, apply to adults as well. Cats also give similar signals as dogs when warning us to leave them be. 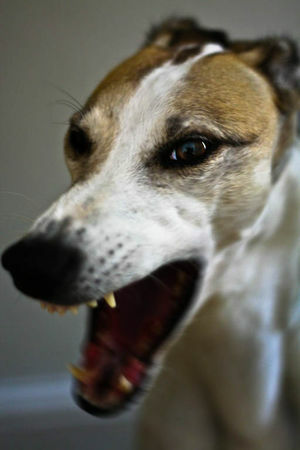 A twitching tail, ears back, hissing or growling are actions that tell us be careful. Cats can be more difficult to understand as sometimes they lash out with claws or teeth without what we would call outward signs. Observing their behavior can give us good indications of how they act.